1002 is a 10k resistor, probably 1% tolerance. Thanks. Doing a google search, would this work? You sure about that? I thought they were 0402 myself. And yeah, those resistors easily burn out and fail when overworked. It's why I got fed up and did a custom one-off with that 'Spaceship' edition PCB, where I included all those pre-amp parts as 0805s on my bypass board. I changed them to Panasonic 0.1% tolerance too, for that little bit of extra quality and balance. 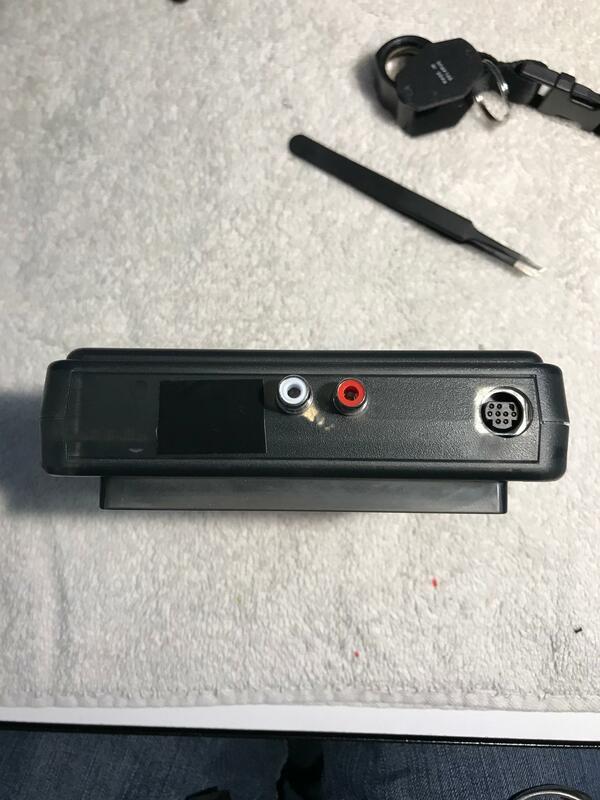 Do you have any plans to offer this custom board (that allows RCA jacks) for sale? You can do the RCA jacks or the mini headphone jack method with the standard board I sell. It's not restricted to that one-off. I don't have any plans to sell the 'Spaceship' edition because it requires quite a lot of extra work for only a tiny improvement in audio quality. However, I will likely put it on OSH Park in a couple months as a free download for the overly obsessed. The last ones I replaced were 0603. It's possible that they have both of course. Pretty sure that one is 0603. If not, you can still put an 0603 there. Edit: I'm retarded and was looking at the wrong chart. They are 0603's. Sorry about that. Successfully installed FBX's audio bypass board. All parts are much smaller than they appear in photos in this thread, especially the SMD resisters. Solder points to the SMD resister pads are very small with other SMD components very close. 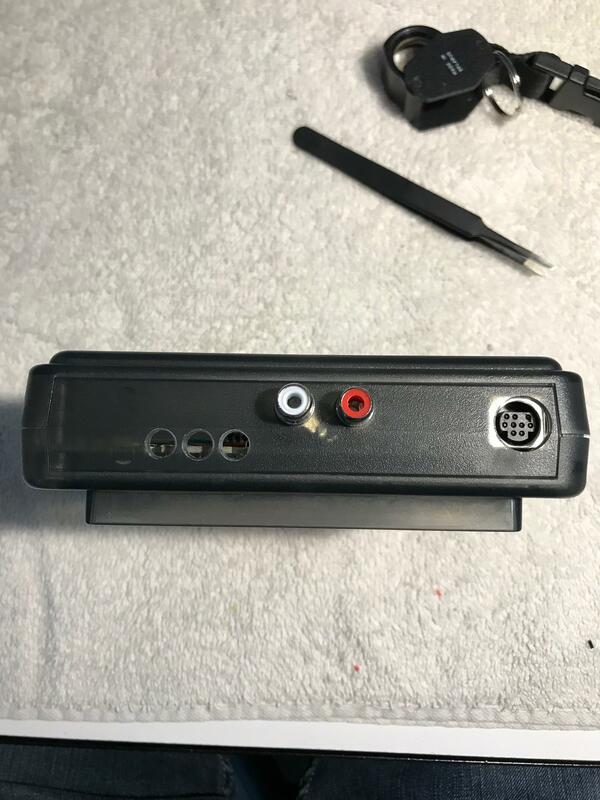 I had already RGB modded my Turbografx16 years ago (TGezRGB board by low_budget soldered to the expansion connector pins and jailbar fix). Since I have the TG16 and CD unit, I already had an RGB cable with audio breakout to RCA jacks. Thus, I routed the bypass audio out to RCA jacks rather than the built in DIN. There were a couple of things I could have done better. I did not have a hot air rework station. In removing the IC I damaged 3 pads. Good thing not using SSD3 onboard sound again. After finishing I ordered a $35 generic 858D off of ebay. Removing SMDs should be much easier next time. Also, I made two mistakes on the small plastic panel on the back of the SSD3. I wanted the jacks close together. When I measured I only took into account the diameter of the jack on the outside of the unit. I forgot diameter was wider on the inside where the threads and nuts were. After holes drilled, realized they were too close to mount. Drilled a 3rd hole. Then when I went to install the jacks, I realized I had the plastic piece upside down when I figured where I had to drill. As a result I could not mount the jacks and had to drill two more holes. Right now I'm using electric tape to cover the extra 3 holes. I'm going to email terraonion to see if they are willing to sell a spare panel. It was not an easy job. There are things I wish I did, such as some neater soldering in spots, but since it works and everything is secure I'm not going to rework anything. From the advice FBX gave me, it’s actually a LOT easier with a hot air tool. I opted to buy a cheap $35 one for this mod, and it made removing the components very clean. You don’t need a fancy rework station, just a hot air tool that has a temperature and flow control setting will work. In my case I ended up pulling off the wrong resistor, mainly user error, and ended up burning it out after trying to resolver it. I’ll be rectifying this situation soon, but using the hot air tool made sure my traces weren’t burnt so that I can still Solder to them. I'm having a small issue, thought I would post it here, if nothing else for a curiosity. I theorize that something is happening while the SD card is being written to (I'm using the setting where each game has its own save file), but I don't know what. It's a real Sandisk 256gb sd card if that matters. Again, I'm not terribly concerned about it, but thought I would post here so the info is out there. 2 questions. Did you have this issue before doing the mods? Is the SD card formatted as exFAT or FAT32? I never played Ys before the mod, so I don't know, sorry. SD is exFAT. I can reformat to FAT32 if exFAT is an issue. There is a high pitched noise/sound and the game gets to the "SAVED" pop up box. After you confirm the save and the box disappears, the game locks up, while continuing to play the high pitched sound. I didn't have the double screen issue, but i did have glitches resembling the part i have quoted playing the same game, on a turbografx 16. This was actually immediately reproduceable by starting the game and just repeatedly loading and saving in town. within the first 5-10 saves max it would lock up. I was not able to reproduce this on a coregrafx, so I just assumed it was some kind of issue with my turbografx specifically. This was with a stock ssds3 before i did any of the mods. I don't remember how my card was formatted at the time, but if I recall it didn't matter, both caused this. 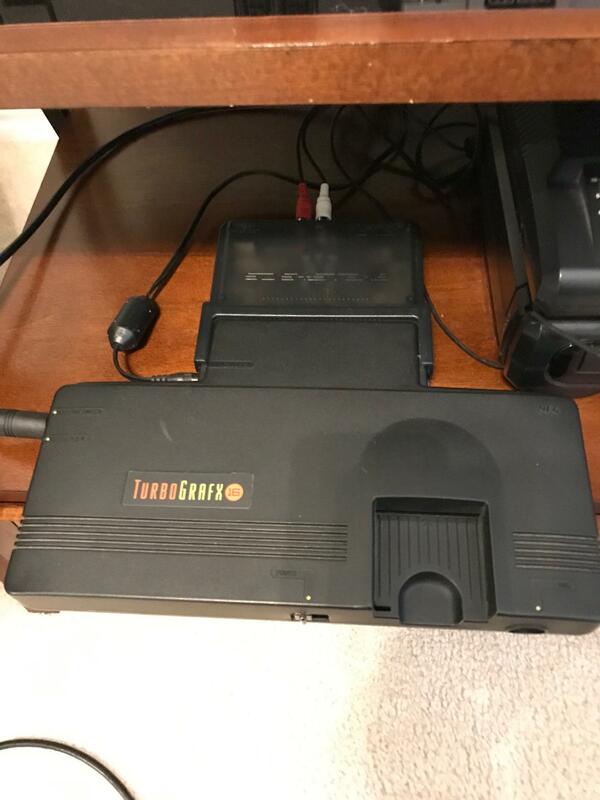 Edit: I did report this at the time on the TO forums, but the few people who tested this couldn't reproduce it, but to my knowledge none of them were using a turbografx, they were all using some variant of JP console. When i narrowed it down to only occurring on my TG16, I don't think anybody had anything else to say about it. Myself and one other person have seen weird crashing issues when using exFAT. The issues would go away formatting the same card as FAT32 and loading the same files. It's an easy enough test to try. 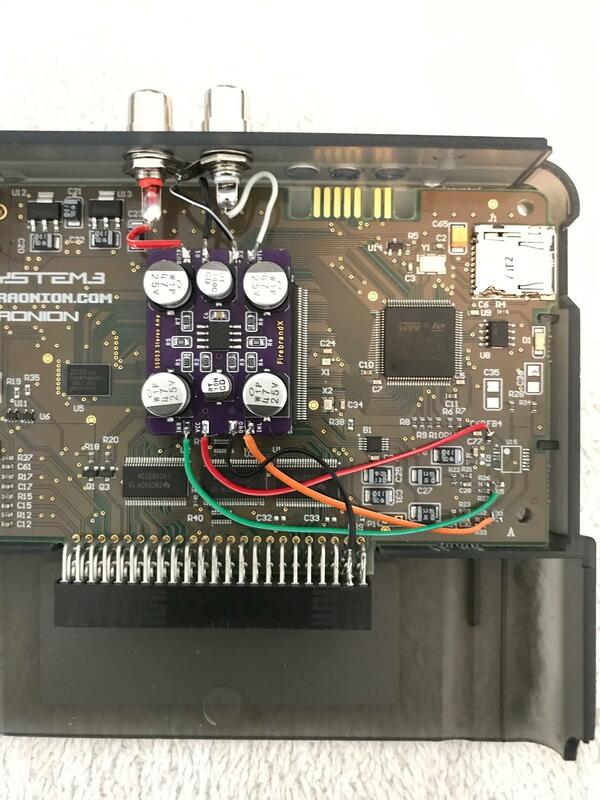 Outside of that my best guess would be an issue isolated to the specific CD image or something in the firmware which makes this more difficult to get addressed. Interesting. I noticed the first time I played the game, saving also worked properly for the first 5-10 saves also. I may get a coregrafx someday but as long as it saves (it does), I don't mind the hard reset. It's so odd because with the small screen I can still move around sometimes but when I enter another room/area it locks. There is also a bit of graphical glitches, but I'm not sure if it's actual glitching or just the screen being shrunk down. If it helps anyone or if anyone is curious, I could take a video of it happening, it's very repeatable on my end, does it ever time I save. Ah, when it happened to me, sometimes it would corrupt the save and not be loadable again, so it was pretty game-breaking. My tg16 is no longer working, or i would test the alternate formatting of the card to see if that makes a difference. Even though it may not be the cause, I'd suggest never having in-game hooks enabled. I have dozens of games randomly crash whenever I have that enabled. Would also suggest you check which System Card image you are using. I had an issue with Beyond Shadowgate where it would say it would save, but then if I power cycled, the save would be gone. I changed System Card and it stopped doing that. Has anyone heard if Terraonion are releasing a new version of the SSDS3 anytime soon? Not sure if I should hold off for a fixed version, or just get the current one along with the FU-RGB/FBX audio boards. They stated a while ago that they weren't going to do that. If I'm correctly understanding what I've read elsewhere, a fu-rgb modded Super System SD 3 should not be used with a TG16 \ PC Engine that has an internal rgb mod installed as the system mod will effect the fu-rgb outputted picture. Is that correct? Also, will an installed fu-rgb affect the output of the TG16 \ PC Engine internal mod? You can try them together but if you notice interference that's the first step to troubleshoot. In all of the testing I did having anything on the RGBS lines internally caused interference. The FBX mod does not fix the reversed audio (at least when installed normally). Yeah the only way the FBX board would have fixed the reversed audio is if you installed it backwards. Otherwise it's still backwards until this firmware is installed. Yeah the only way the FBX board would have fixed the reversed audio is if you installed it backwards. I like thinking that the physical orientation of the PCB effects the left vs right channels. Pretty sure they meant the wires.